It’s hairy crab season again, and Liu Yuan might just be the best place to get your crab fix. Yuls, V and I had a craving for hairy crab but we didn’t want to trek all the way to Tsim Sha Tsui for Tin Heung Lau. We were also tired from work and didn’t want to spend time and effort dissecting the actual crabs. V suggested Liu Yuan Pavilion because they offer a large variety of hairy crab dishes apart from steamed whole crabs. 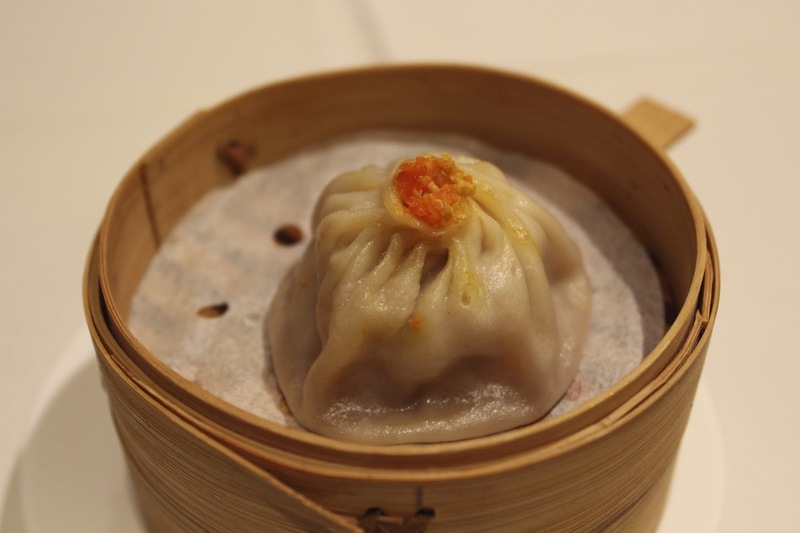 Steamed Hairy Crab Cream Dumpling 蟹粉小籠包: The dumpling came in its own bamboo steamer, which was a nice touch. It was stuffed full with fragrant crab cream, a mixture of roe and meat. The skin could've been slightly thinner though. 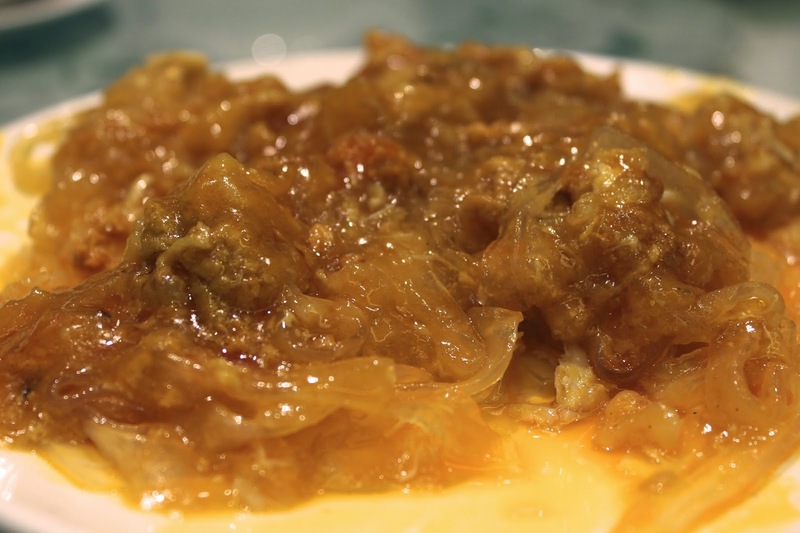 Hairy Crab Roe with Bean Jelly 蟹膏粉皮: I have been waiting a year to have this! Last year I had the crab cream with bean jelly 蟹粉粉皮, but it was nothing compared to this. Just look at that obscene amount of artery-clogging crab roe on top of the bean jelly. Sooo sinfully delicious. No crab meat in this, just pure unaltered crab roe in all its glory. I added a splash of vinegar to cut down on the richness. 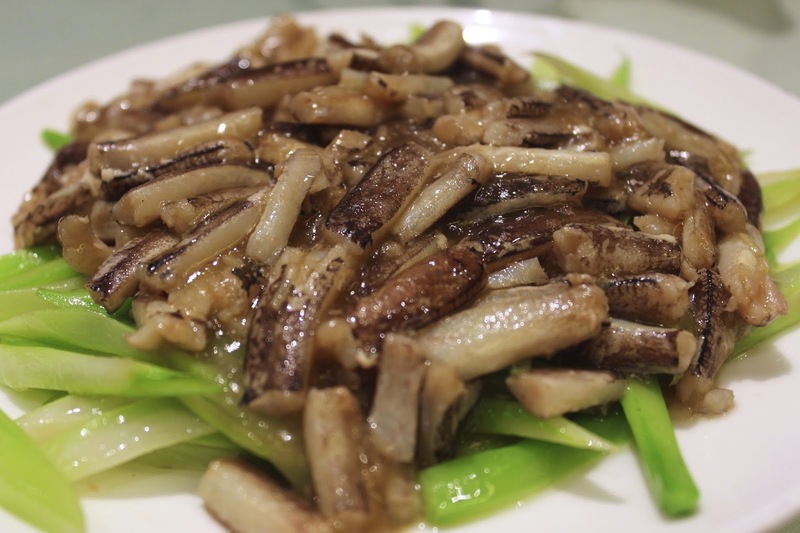 Stir-fried Hairy Crab Legs 抄蟹腳: The crab roe dish came with a side of hairy crab leg meat. All the legs were de-shelled perfectly and plucked free of that horrible translucent “bone”. The crab legs were plump and sweet, contrasting well with the crunchy vegetables and ginger vinegar. I love how the most laborious part of having hairy crabs has been done for me. 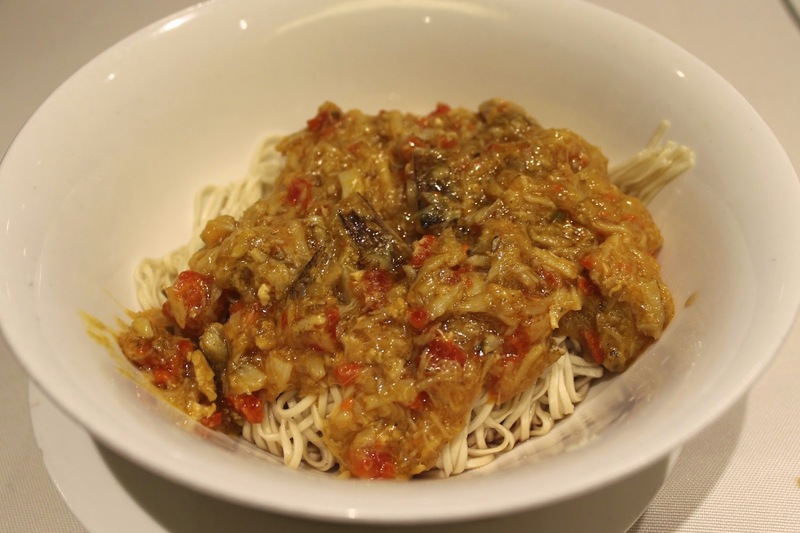 Braised Noodles with Hairy Crab Cream 蟹粉拌麵: Lo mien at its finest. 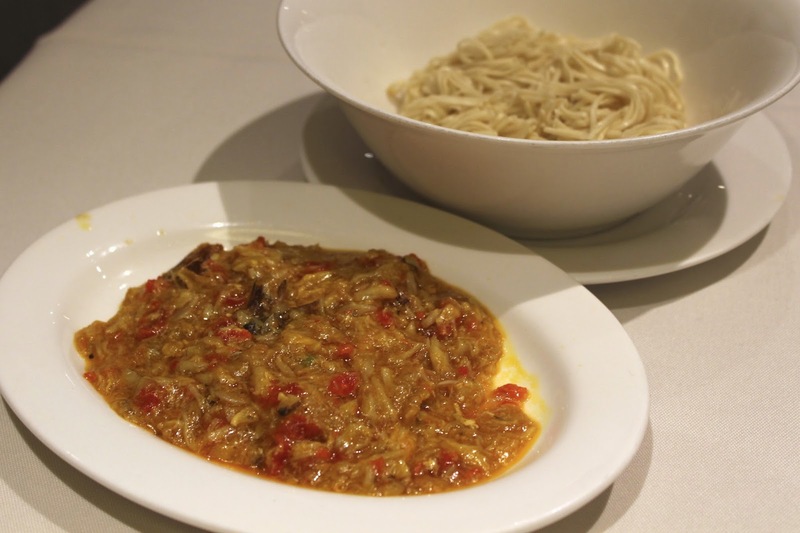 Crab cream again, this time over a bed of drained Shanghainese noodles. This was just an excuse to gorge ourselves on more hairy crab. The orange bits are the roe of the female crabs, which are hard and generally less desirable than male crab roe. 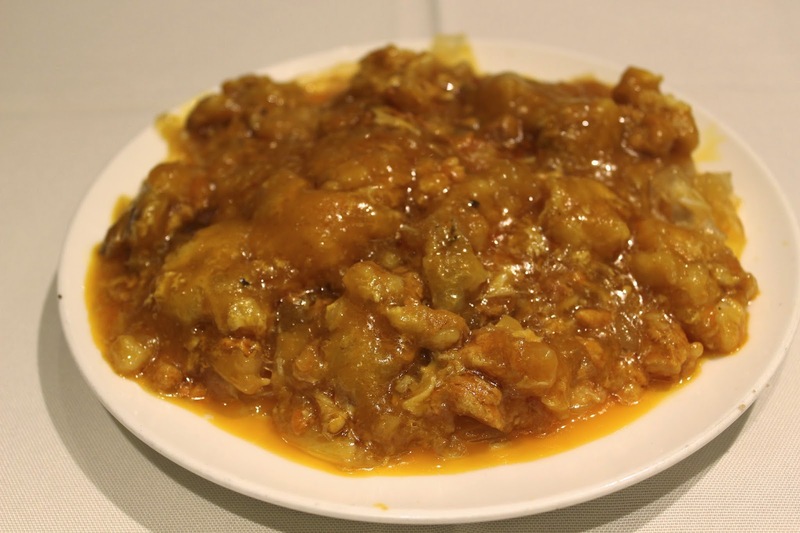 Shredded Chicken and Bean Jelly in Spicy Sesame Sauce 棒棒雞: Our only non-crab dish. This is a hard dish to get wrong. 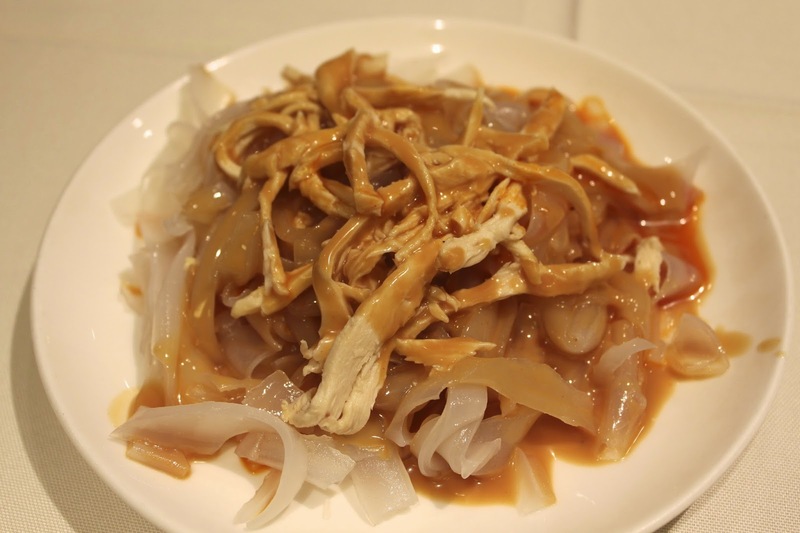 The shredded chicken was tender, and the bean jelly was cooked just right, not sticky or starchy. The peanut sauce had the right consistency and balance between sweet and savoury. My only complaint is that it wasn’t spicy enough. Verdict: It’s a bit pricey, but totally worth it for a scrumptious hassle-free hairy crab experience. 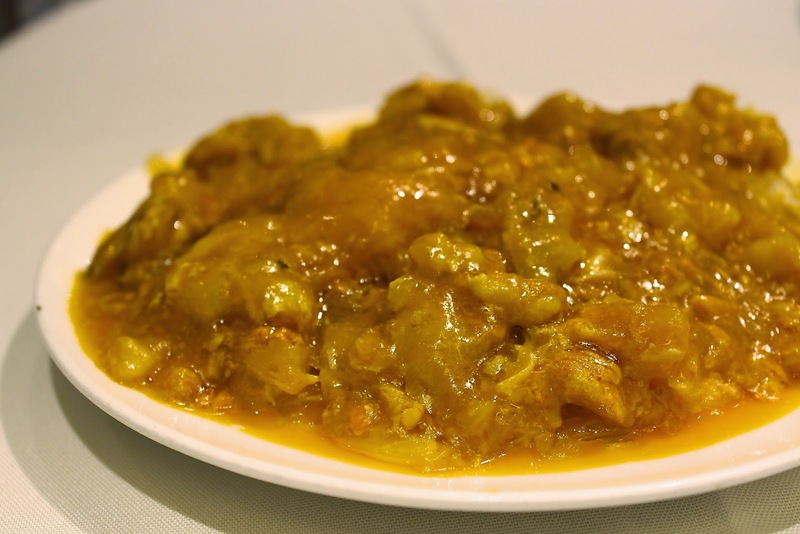 Hurry and pre-order the crab roe bean jelly before the season ends! Also, service is friendly and helpful. We changed our booking a few times but they were very accommodating. I will be back to try their dim sum next time. 蟹膏粉皮 omg. It looks so good!!!! I want this! !